I love flat-twist outs! They create a slightly different curl pattern than twist outs and braid outs. Like most of you, my curls don’t define themselves or match each other perfectly, but that’s okay! Here's how I achieve a perfect flat-twist out! Cleanse with either a sulfate-free shampoo, cleansing conditioner, or co-washing to help reduce the amount of moisture that you’re removing from your hair. Add a heaping amount of conditioner to your hair. Suave, White Rain, or V05 work wonders and don’t cost an arm and a leg. Start detangling by first using your fingers and then either a wide tooth comb or a Denman brush. Section the hair into manageable sections (four to eight different sections, depending on the thickness and length of the hair) and clip all but one section of hair out of the way. Evenly distribute the leave-in conditioner of your choice with a Denman brush, and lastly add a shea butter or oil based product on top of that for strong hold. Twist that hair! You can use a wide tooth comb to part off neat sections or just grab at random and twist. I find that parting with a comb is better when you plan on wearing the twists as a style, while pitch-parting (no parts) makes for a better looking twist out. Continue flat twisting all of the hair. Make sure that you twist the hair in direction that you want it to fall. Decide where you want your part to be and twist accordingly. 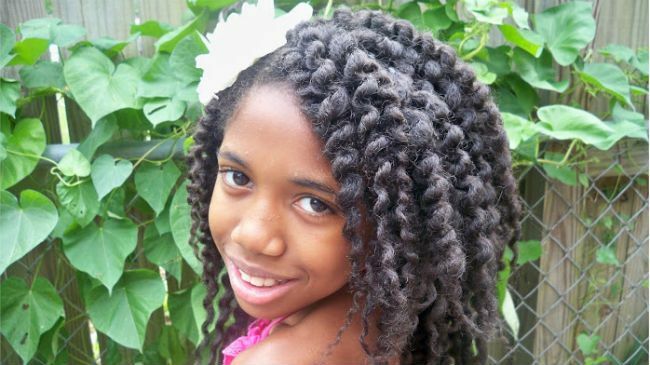 Remember, the bigger the flat twists, the more volume while the smaller you flat twist, the more curl definition. Allow your twists dry completely before untwisting them. You have two options: 1) unravel them once they’ve dry (which should take less than twenty-four hours) for a crisp, more elongated flat-twist out or 2) you can wait several days for a twist out with a deeper, more defined curls. Tip: Once you’ve removed the twists, you have the choice of separating the curls for big hair or just wearing it more defined. The choice is yours!